The Democratic Republic of the Congo (DRC) is in the midst of a protracted political crisis as President Joseph Kabila manoeuvres to stay in power past the end of his second term, which expires this December. Kabila’s undemocratic machinations – most notably le glissement (‘slippage’) or delaying of elections due to “logistical” issues – have drawn the ire of much of the population with frequent protests and strikes rocking the country since early 2015. Yesterday, these reached a new pitch as protesters took to the streets, angry at Kabila’s recent efforts to promote a “national dialogue” – a move the opposition sees as a cynical ploy to legitimise le glissement. 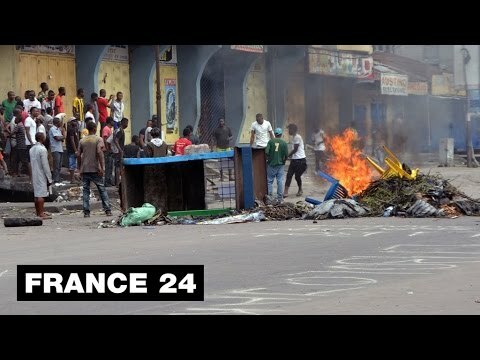 In Kinshasa and Goma, violence erupted as heavily armed police confronted protesters, leading to the deaths of at least 17 according to the government and more than 50 according to the opposition. Four people also reportedly died when the headquarters of three different opposition parties were burnt down in the night. With further protests sure to follow and the possibility of continued violence looming large, it is worth asking why Kabila has yet to deploy the military. The answer lies in a deep history of mistrust. The DRC is among the most heavily militarised states in Africa, with its 70,000-strong Congolese armed forces (FARDC) deployed within the country to combat various low-intensity threats. However, thus far it has not been the army that Kabila has called upon on to “restore public order” but the national police (PNC), the civilian intelligence service (ANR), and, most notably, the Republican Guard – Kabila’s personal security outfit. According to an October 2015 report by the UN’s Joint Human Rights Office, there were 142 human rights violations against members of the political opposition that year. Tellingly, 69 of these were carried out by the PNC, 24 by the ANR, and just 9 by FARDC. The actual number of FARDC violations is lower, however, as the report fails to note that the Republican Guard operates outside the army’s chain of command. Since he came to office in 2001, Kabila has steadily built up civilian security forces, over which he exercises direct control, at the expense of FARDC, the loyalty and effectiveness of which are in doubt.